Reach out to thousands with this project by using these social media resources. Use the general project resources below or click on the buttons to see resources for particular weeks of gestation. 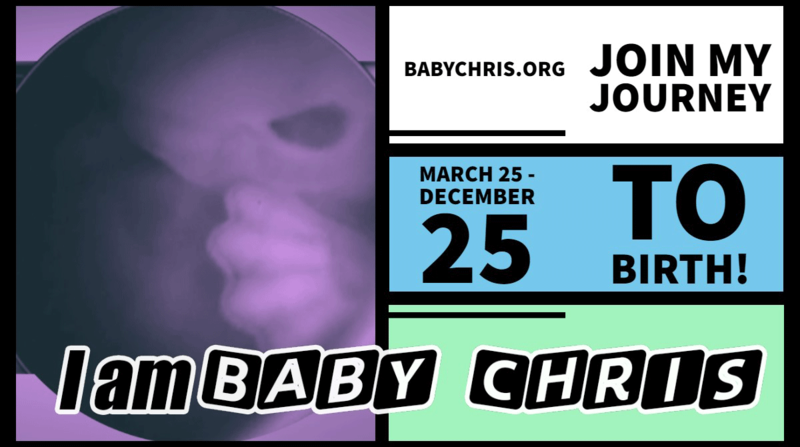 #BabyChris is two weeks old! He or she is producing the pregnancy hormone hCG, which can be detected in the urine via a pregnancy test. Chris’s mom can get a FREE test at her local pregnancy center. She’s about to get huge news! 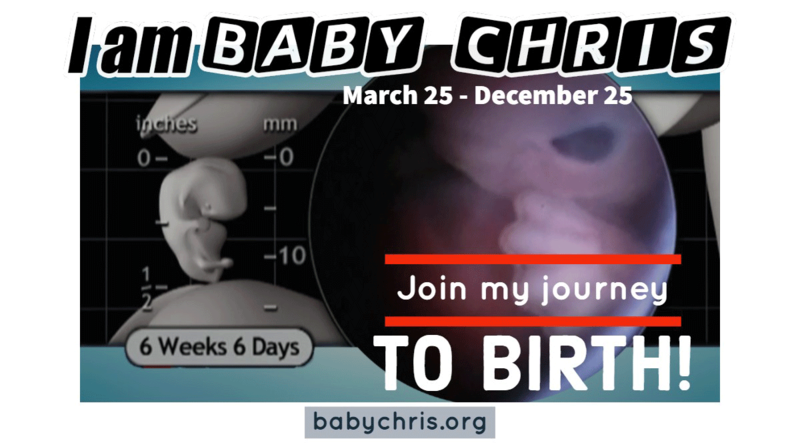 It’s been two weeks since #BabyChris was conceived. He or she is now fully implanted and the placenta is forming. Chris receives crucial nutrients via a yolk sac. Learn more by downloading the See Baby App! 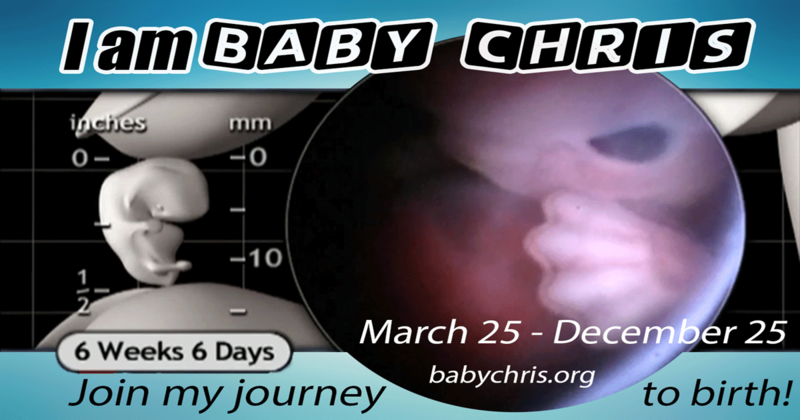 In one short week, #BabyChris has grown from a single cell to several hundred! 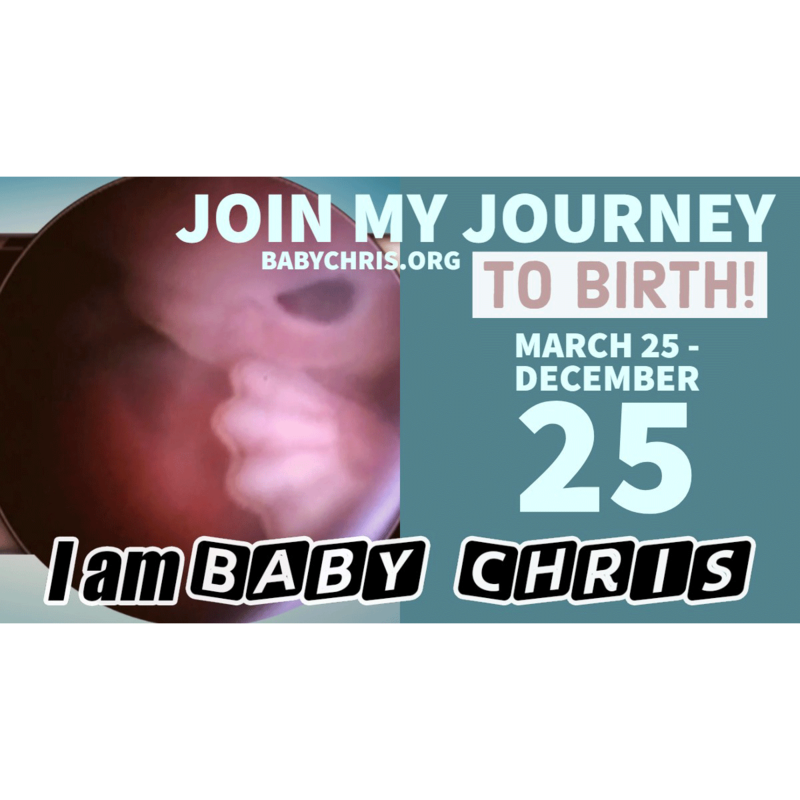 Download the See Baby App to follow Baby Chris’s progress. 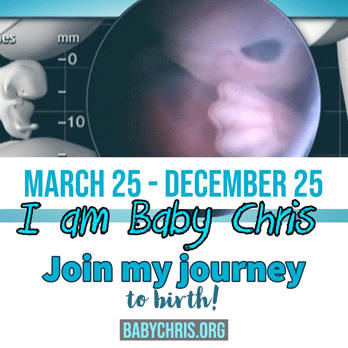 The life of #BabyChris began one week ago. He or she has traveled from the fallopian tube to the uterus and is now implanting into the endometrium (uterine lining), which will provide critical nutrients throughout pregnancy. 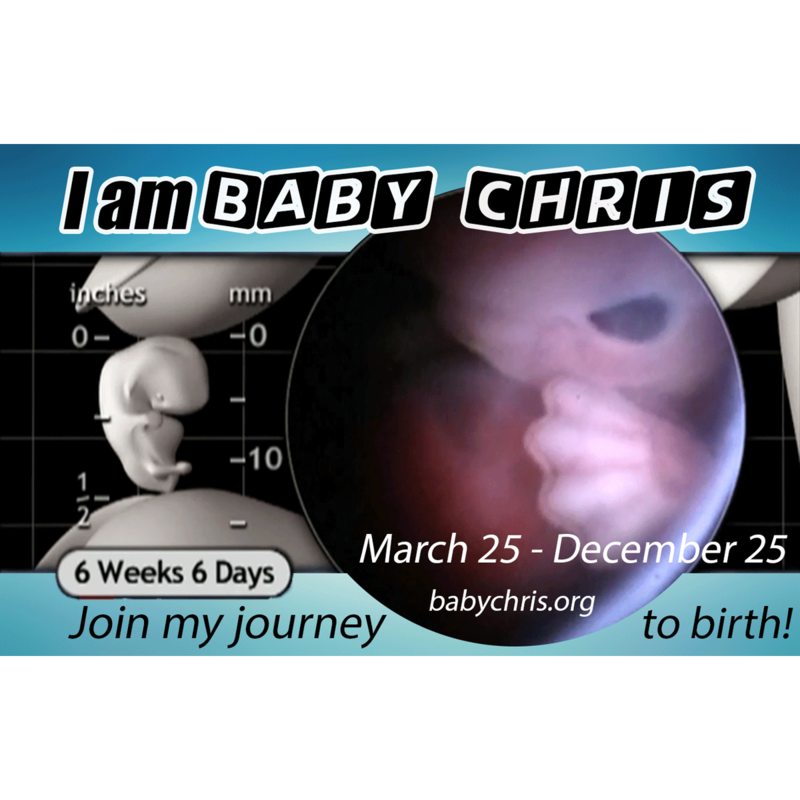 #BabyChris is growing fast! He or she is made up of stem cells, which have the power to produce over 200 cell types. Learn more by downloading the See Baby App. 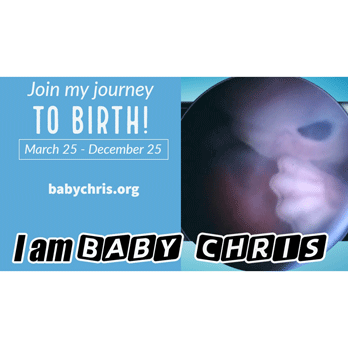 It's been one week since #BabyChris was conceived. He or she is now in the blastocyst stage and growing increasingly complex. 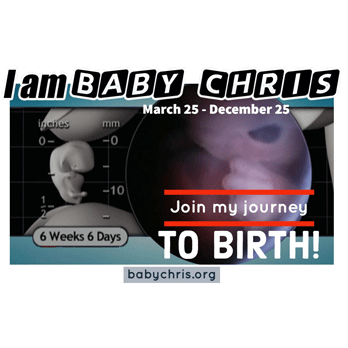 Download the See Baby App to follow Chris’s nine-month journey. We're going on a nine-month journey! 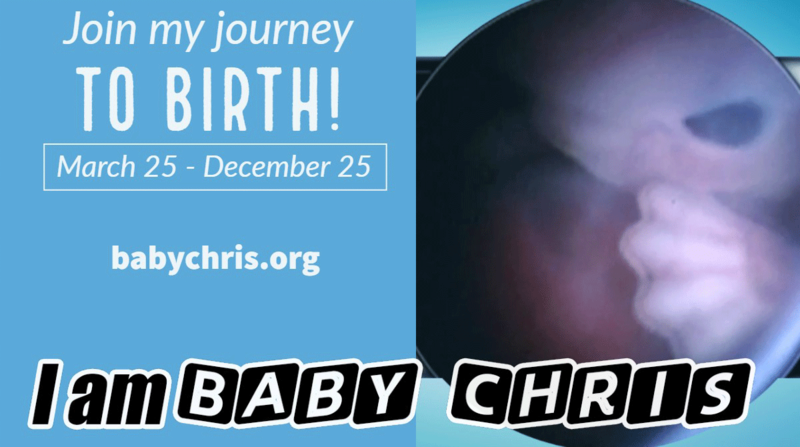 #BabyChris was conceived today. Follow his or her progress by downloading the See Baby app. 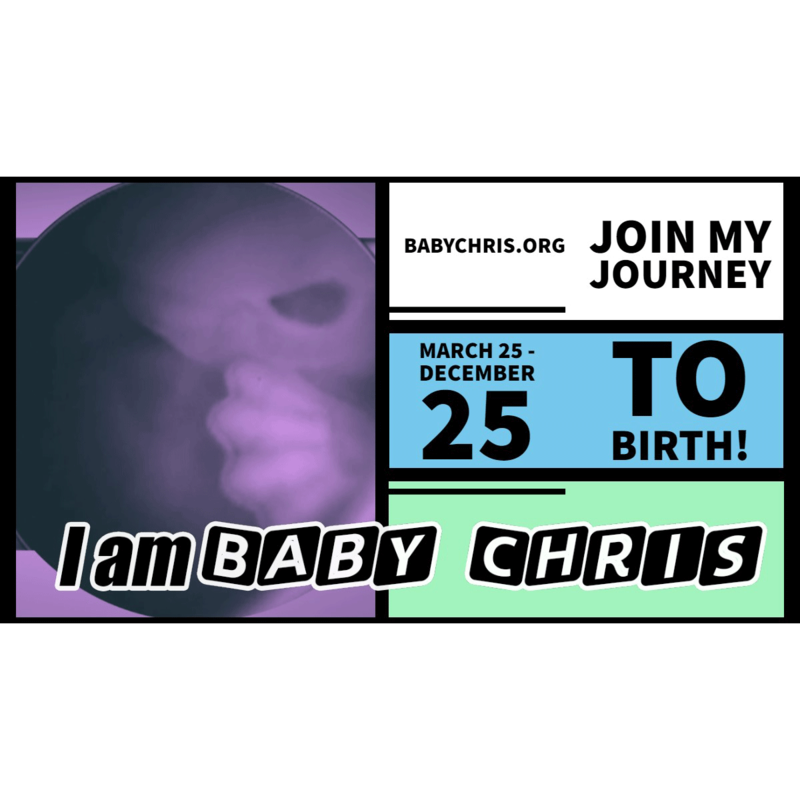 Meet #BabyChris! His or her life began today when sperm met egg. Genetic traits from eye color to double-jointedness are already determined. 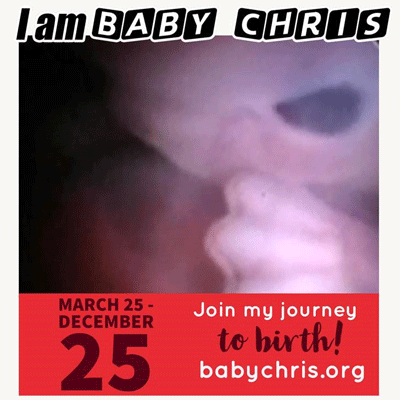 Download the See Baby app to watch Baby Chris grow! Thousands of unique, unrepeatable babies have been conceived today and are due to be born around Christmas. We’ve named one of them Chris. 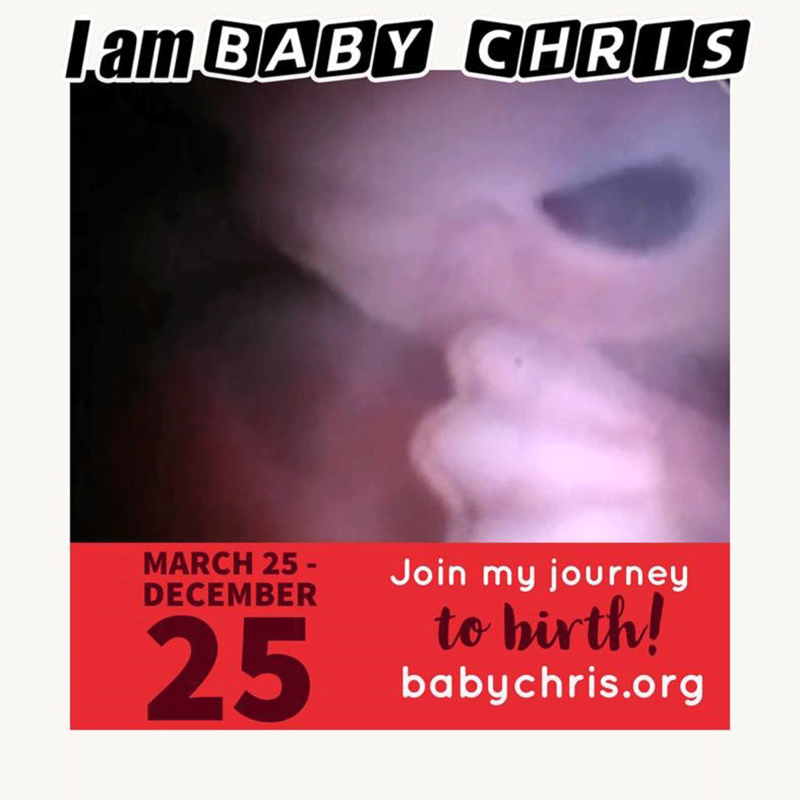 Follow the #BabyChris hashtag and download the See Baby app to follow his or her journey to birth! You, me, and every person you've ever met: we all began life as a single cell. 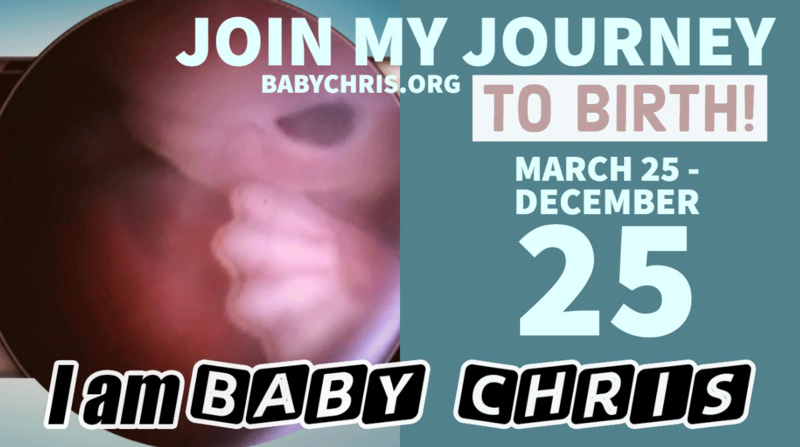 #BabyChris is just one cell big today, but will grow very quickly over the next nine months! We’ll tweet Baby Chris’s progress every Monday.